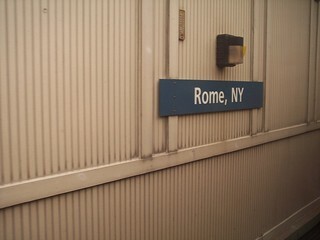 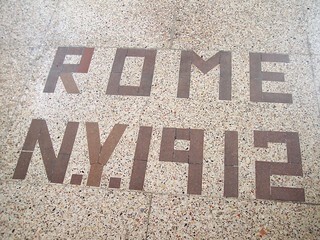 Rome still has a large old red brick station building. 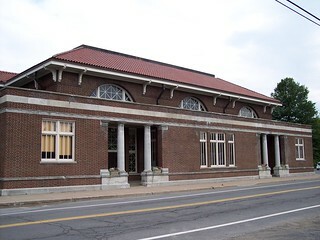 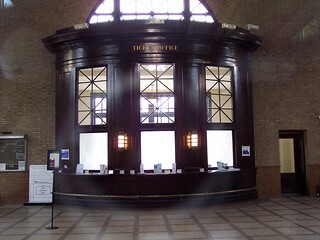 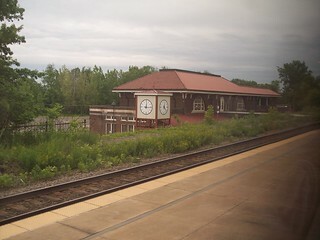 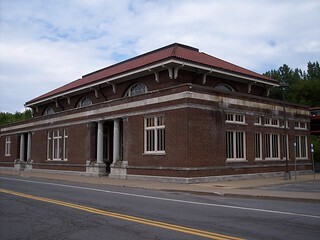 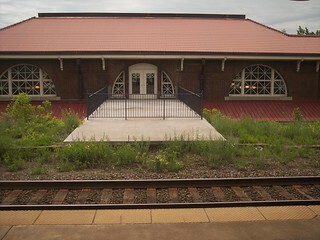 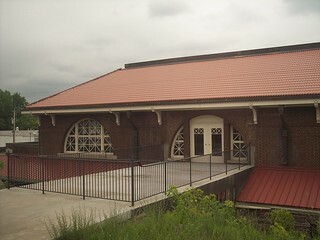 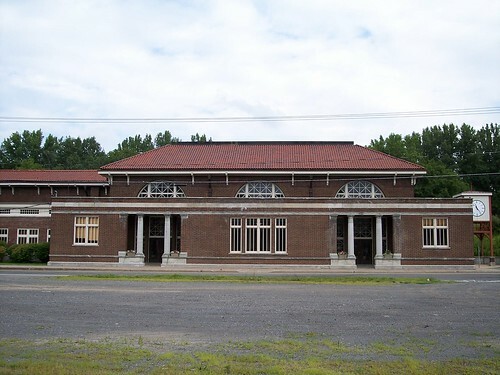 More views of the station building. 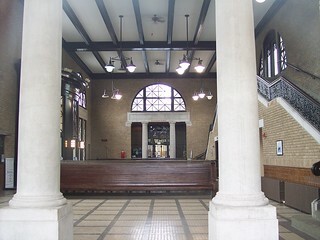 The station has an impressive waiting room. 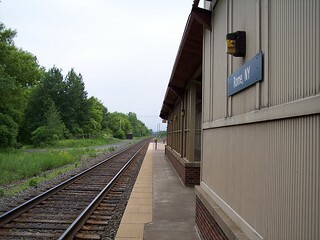 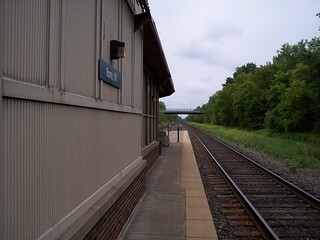 Looking west and east from the platform.